This super easy, savory appetizer bursts with flavors of fall. 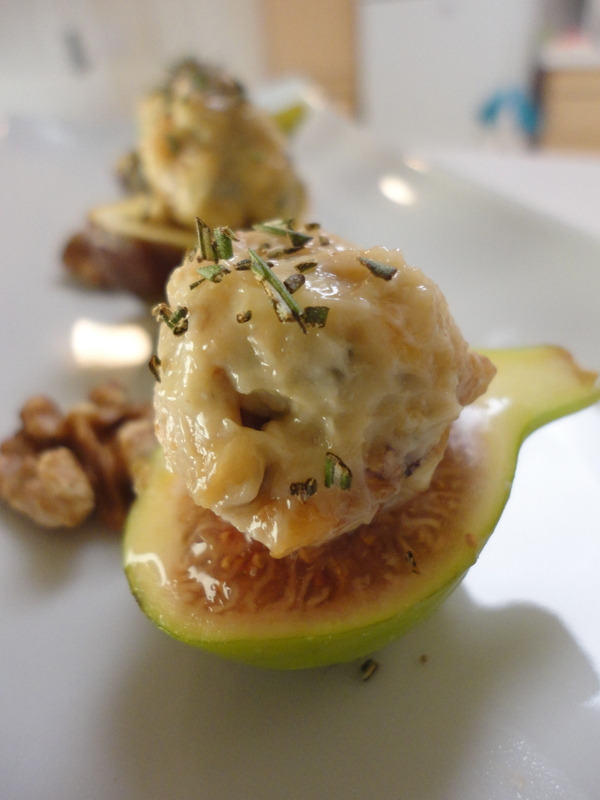 The saltiness of the blue cheese complements the sweetness of the ripe homegrown figs finished with a delightful nuttiness of the toasted organic walnuts. In under 10 minutes you have a sophisticated appetizer that should impress at your next holiday gathering. Arrange walnuts on a cookie sheet in a single layer. Bake 8 to 10 minutes, checking frequently. While walnuts are toasting, chop a small spring of rosemary. Stir together the blue cheese and chopped walnuts. Drizzle mixture with a dash of balsamic vinegar and honey to taste. 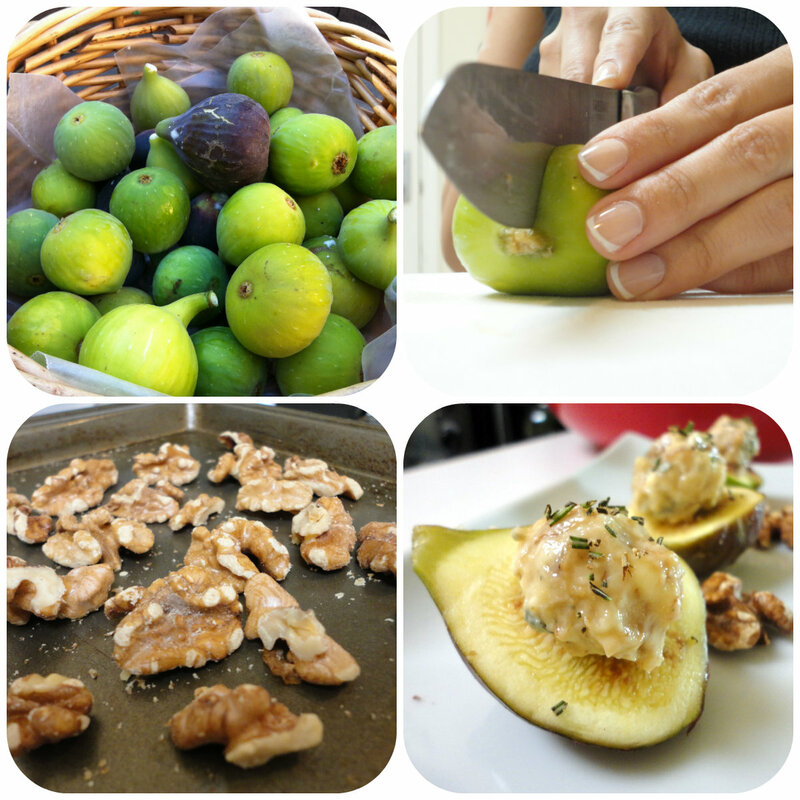 Spoon onto ripe fig halves and sprinkle with a pinch of chopped rosemary.